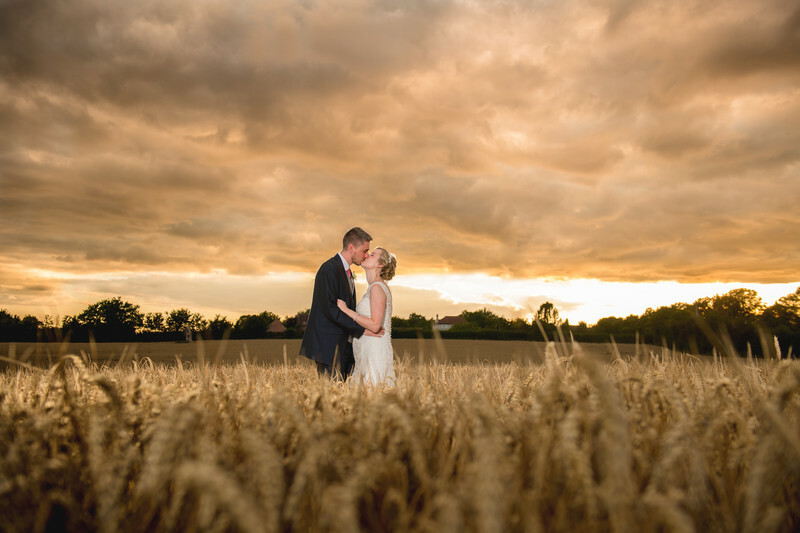 Curradine Barns in Shrawley is a stunning rustic barn wedding venue hidden in the Worcestershire countryside. This image was taken at my first time working at Curradine Barns, and I knew as soon as I had seen this location that I wanted to take this exact image. The barn that you can see here is actually a car park for normal weddings, but I had made special arrangements beforehand both with the bride and groom and with the venue, that this part of the barn be roped off and people made to park elsewhere! It's not that Curradine Barns is short of locations for stunning wedding photos, as you can see from the above shot, taken at a more recent wedding, but I knew that this barn turned car park could offer my clients something really different, and that's a thing which I'm always looking for. I want all of my clients to have something unique, so that if they're looking at a friend's wedding from the same venue, that they receive something that's not exactly the same as the other person's. 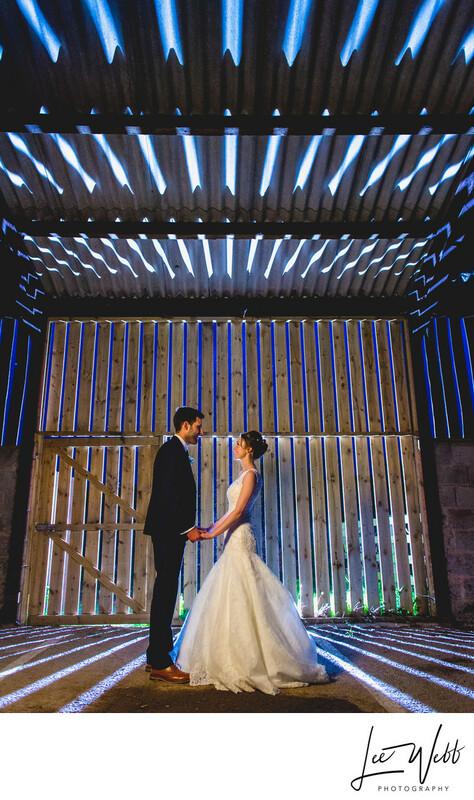 For the main image of this article, we waited until it had gone totally dark outside before moving into the barn for the photos. I had my second wedding photographer, Aaron, move his car so that we could use the headlights to illuminate the bride and groom - this was essential so I could place them exactly where I wanted them, as well as get the camera to focus on them correctly. In order to light the barn as you see here, I used a flashgun outside of the barn and pointing back towards us. The light from the flash split as it hit the wooden slats of the barn, and created this really dramatic effect that you can see here.